I’m rich. I have an early Willie Bester, complete with crushed Mainstay Cane spirits bottle top and torn-off piece of an Omo packet, framed in cheap SA pine. Contemporary African art from the Jean Pigozzi collection / foreword by Mark Gibourne; [day of sale, June 24, 1999]. London: Sotheby’s, 1999. 132pp., 57 lots. illus. (color). The 1999 Sotheby’s auction of works from the Jean Pigozzi collection was the first major sale of modern African art by a top auction house. Remarkably, all the works sold. Most fetched more than the estimated prices. Realized prices ranged from £2,000 to £7,000. The top price was a Willie Bester mixed media work going for £10,000 (pre-sale estimate, £4,000-£6,000). Not bad. The sale was billed as a benefit for Unicef and to establish the Jean Pigozzi Prize for Contemporary African Art. Confession: When Aitch bought it in Kaapstad one early holiday while we were rich and child-free, I raised my eyebrows and thought Hmmm . . .
Aitch’s Willie Bester artwork is looking even better – again. One was sold at an auction of David Bowie’s African art collection. Admittedly there’s a “David Bowie factor” which one art dealer reckoned added 50% to the prices. Bester’s “What Happened in the Western Cape?” fetched R358,000. It was January 1993 and Aitch paid R2660 on budget over six months on her credit card. She pinned the slip to the back of the painting. What an investment! Note how they still used the old shook-shook credit card machine back then. 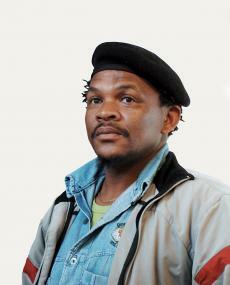 Born in Montagu, Western Cape in 1956. He began painting murals as a child, and it was also then that he first developed an interest in recycling industrial and waste materials. As an adult, Bester worked for 15 years as a dental technician’s assistant before rekindling his love for art. His first solo exhibition, held in Cavendish Square in 1982, was mounted without the assistance of a gallerist. 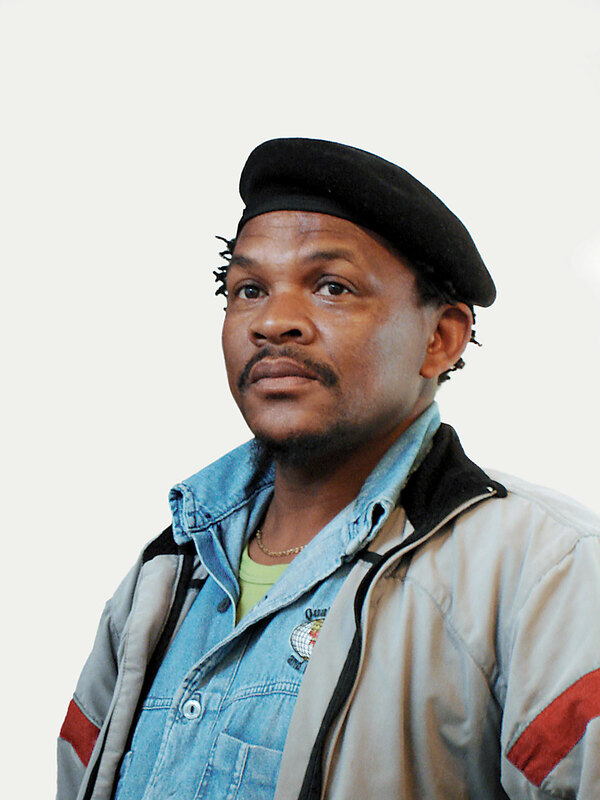 Bester went on to study part-time at the Community Art Centre in Cape Town where he was exposed to the idea of art as a political tool. Following this encounter he had a meteoric rise to fame in the early 1990s, exhibiting at the Goodman Gallery in Johannesburg before taking part in exhibitions in Dakar, Senegal, and in numerous centres in Europe, including Africa Remix, which was mounted at the Hayward Gallery in London in 2005 before travelling to the Pompidou Centre in Paris and thereafter to Johannesburg. Bester has received numerous prestigious awards including South Africa’s Order of Ikhamangu (Silver). Most recently, Bester exhibited at the Changchun Sculpture Symposium in China where he was voted the most popular artist and honoured for his innovative use of materials. Bester’s mixed media works have frequently included passages of painting that have contained strongly naturalistic elements. Continuity is also evident in Bester’s sustained preoccupation with apartheid’s legacy, and the empathy and dignity with which he represents the dispossessed. Training – 1986: Community Arts Project, Cape Town. 1982–2003: Eleven solo Exhibitions in South Africa. 1988–2001: Five solo exhibitions abroad – Dakar, Senegal; Trento, Rome and Turin, Italy; and Brussels, Belgium. 1989–2004: Participation in approximately thirty group exhibitions in South Africa. 1991–2005: Participation in approximately forty-six international Exhibitions in thirty-five cities and towns in the UK, Italy, The Netherlands, France, Switzerland, USA, Cuba, Germany, Canary Islands, Spain, Austria, Senegal, Brazil, India, Malaysia, and Ireland. This includes several biennales and high profile exhibitions. Iziko SA National Gallery, Cape Town; Johannesburg Art Gallery; Nelson Mandela Metropolitan Art Museum, Port Elizabeth; Durban Art Gallery; Tatham Art Gallery, Pietermaritzburg; Pretoria Art Museum; University of the Witwatersrand, Johannesburg; University of the Western Cape, Bellville; University of South Africa Art Gallery, Pretoria; Department of National Education, Pretoria; Department of Foreign Affairs, Pretoria; South African Broadcasting Corporation, Cape Town and Johannesburg; Human Sciences Research Council, Cape Town; Contemporary African Art Collection, Paris; Smithsonian Institute, Washington DC. 1991: Merit Prize, Cape Triennial. 1992: Prix De L’Aigle, 4th Grand Prix International D’Arts Plastiques de la Vlille de Nice, France. 2003: Honorary medal for promotion of Fine Arts: Suid Afrikaanse Akademie vir Wetenskap en Kuns. 2004: Order of the Disa, Members Class, Government of the Republic of South Africa.